Patrick Nagatani, 1996. Collage Mural. MTA building, 3rd level. For some time, part of the mural was covered due to a complaint regarding the naked male figure from Muybridge's "running man" photographs. For more information on this, read: Richard Simon, "Art buffs back buff art", Los Angeles Times Metro section (January 19, 1996), p.1+. 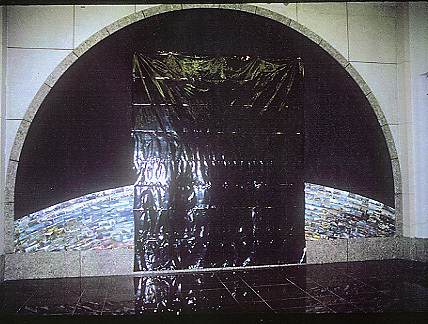 The photograph has been provided courtesy of MTA files.